“Spurs are on their way to Wembley, Tottenham’s gonna do it again” will no doubt be sung at some stage of Saturday’s FA Cup tie with Wycombe at White Hart Lane, the words known easily to all Spurs fans. For fans under the age of 26, do it again actually means do it for the first time! Modern day fans, particularly since the advent of the Premier League, have year-on-year seen the importance of the FA Cup significantly reduced, and if we finish within the top-4, they will easily forgive the club for not taking the cup too seriously when they are sitting at Wembley listening to that Champions League walk out music. For those of us that were born before the Premier League era, we remember the importance of the competition, we remember the success the competition gave us, the joy of watching an open top bus parade down Tottenham High Road, the sight of that glistening silver trophy being lifted at Wembley in a major competition, highly regarded around the world, and on a day that most school children dreamt of being involved in. 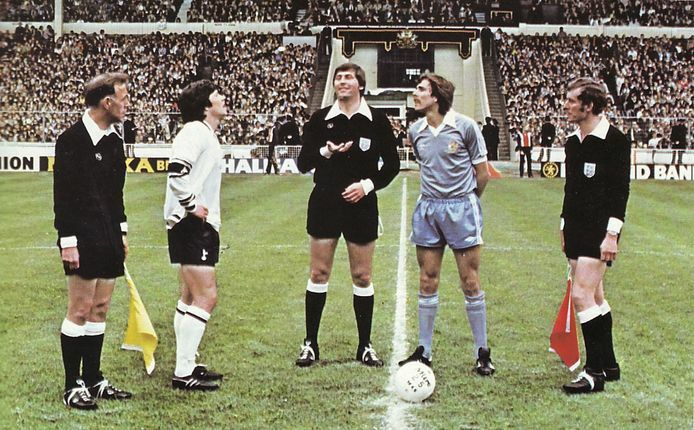 Having been born in 1967, our early seventies League and UEFA Cup successes came too soon for me to remember, and so it was that the 1981 FA Cup win over Manchester City was the first time I saw our great club lift a trophy. Just 12 months later we were doing it again. When we were doing it once more in 1991 it was for a record 8th time in the competitions 110-year history. Great memories. If the modern generation fan was to experience that joy, then I am sure they would then feel the importance of winning it, there is no better feeling as a fan to wake up on Cup Final day with that anticipation of what lay ahead. Cup Final days don’t need the walkout music to make them special. Then perhaps they too would appreciate the real worth of the FA Cup, but as each year passes by that feeling gets more lost. That feeling of importance has been allowed to be lost, by the club itself. Why would the modern generation of fan be impressed by a competition when they see Lloris, Alderweireld, Wanyama, Dele, Kane etc. all excused from playing. The modern day Tottenham, as well as most leading clubs, (just look at Liverpool v Plymouth) have allowed the reduced importance to be felt by fans. I have no doubt that if we as a club can rest players for a Champions League must-win game away to group leaders Monaco, then we will certainly do the same for a home FA Cup tie with League 2 Wycombe. I understand the arguments about the rotation for FA Cups, but this club needs to begin winning trophies. Wycombe will arrive backed by 4,035 fans for just their second Fourth Round tie in their history. The only time previously they reached this stage they made it all the way to the semi-finals in 2001 where they lost just 2-1 to Liverpool at Villa Park. They had beaten Leicester at Filbert Street in the Quarter-Final and before that game, Lawrie Sanchez, then their manager, had placed an advert for a new striker on the club website. An unemployed striker then living in Finland - Roy Essandoh, answered the ad and was offered a two week contract, after which he came on as a late substitute at Leicester to score the winning goal. Go and look up that name, it was a truly remarkable FA Cup story. Alongside that Wycombe v Liverpool semi-final was the Tottenham v Arsenal SF at Old Trafford, where we suffered the same fate as Wycombe, a 2-1 defeat and what turned out to be Sol Campbell’s last ever appearance for us. It was the end of the ‘lucky’ ending in 1 years having won trophies in 1901, 21, 51, 61, 71, 81 and 91. Enough of history and reminiscing, it’s now 2017 and it’s long overdue for our name to be engraved onto the trophy for a 9th time. Wycombe, despite being in League Two, will be tougher opponents than we probably thought when the draw was made. Both sets of supporters cheered the draw, as of course did the Wycombe players and our supporters in expectation of an easy home game. 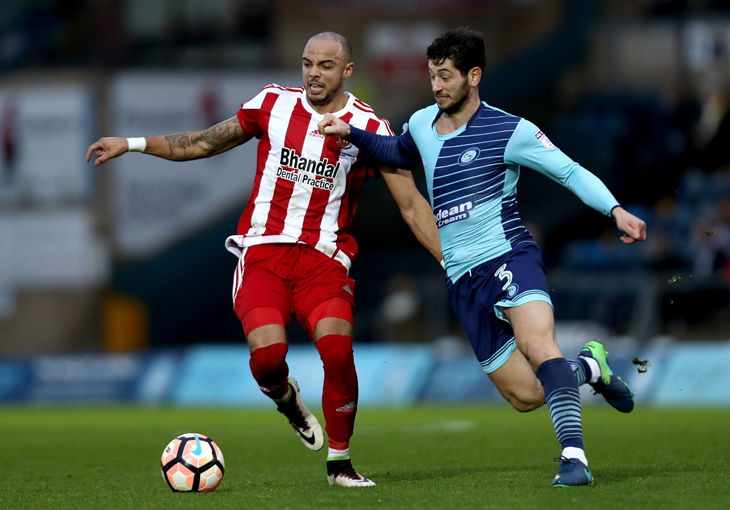 However, Wycombe were last beaten in the league by Barnet on 22nd October, 12 games ago, and they are unbeaten in all competitions in 16 games - W13, D3. They have already won away at Portsmouth, Chesterfield and then knocked out Stourbridge to reach White Hart Lane. Our centre halves (whoever is chosen) will face a meeting with ‘The Beast”, Ade Akinfenwa, the strongest man in English football and certainly a different challenge for Cameron Carter-Vickers if he is picked. They are a club better known for producing managers than famous players. Since 1990 the list consists of Martin O’Neill, Alan Smith, John Gregory, Neil Smillie, Lawrie Sanchez, Tony Adams, John Gorman, Paul Lambert, Peter Taylor, Gary Waddock and since 2012, Gareth Ainsworth. They deserve our respect, not our complacency and it goes without saying that they will be well up for it. Let’s hope that we are too and that we don’t just expect them to crumble. And at the end of those 90 minutes, let’s hope we are still singing, "Spurs are on their Way to Wembley". Remember on the 38th minute to join in with the applause for Ryan Mason, who thankfully is showing signs of a recovery from that horrific clash of heads. I am sure all of us have been thinking and hoping for good news concerning Ryan throughout the past week. Let’s hope he can join us for the last game at White Hart Lane.....he can always say he was scouting us in preparation for Hull away on the last day of the season. What an excellent article. My first visit to WHL was 1958. I've seen the double team, and all the FA cup finals. to me it is a greater prize than the League. spurs need a trophy, the FA Cup is long overdue. Take the game seriously and the GLORY of victory will follow.